With mental health service users making up a staggering 61% of those who lose their lives while in the custody of the state, health campaigners are hoping that the inquest into the tragic death of Sean Rigg, which started at Southwark Coroners Court yesterday, will highlight the need for radical reform in the way this group are treated by the state. A talented songwriter and musician, Rigg had been in regular contact with mental health services for almost 20 years. A revolving door patient, he had been given a diagnosis of schizophrenia and was living in a high support community mental health hostel in Brixton. Sean’s family are hoping that the seven week inquest will shed light of a raft of unanswered questions they have about his death. One of five siblings, Sean benefited from the support of a large and loving family whose unity in their three-and-a-half year campaign to uncover exactly how their brother died is a testament to the strong family networks that he must have benefited from when he was alive. Anyone living with diagnosis of schizophrenia will be aware that this label comes with a level of stigma and misunderstanding commonly associated with mental illness. There are very few people outside the mental health sector who are aware that this condition is accompanied by often high doses of antipsychotic medication, which comes with a raft of side effects that prevent many patients from leading a normal life. Sean like many service users from the UK’s African Caribbean community would on occasion decide to stop taking his medication. BMH UK has learned that the disabling side effects of antipsychotic drugs prevents patients who are in the community from living a normal life. Research shows that impact of sedation increases stigma, affects mobility, physical health, memory and libido. It has been pointed out that on a ward there is someone to monitor patients, but when they are in the community the side effects make it difficult to manage even everyday tasks like shopping for food. Rigg also had a history of being detained by the police under section 136 of the Mental Health Act and then being taken to a ‘place of safety’. Before he was arrested by the police on the 21st August 2008 he had stopped taking his medication and his behaviour was giving cause for concern. Staff at the hostel where he was staying called 999 on several occasions asking for the police to attend the hostel. The police did not attend. Sean then left the hostel and was later arrested after a member of the public called the police. He was restrained by the police, taken to Brixton police station and died soon after. Was key mental health information not passed on to relevant police officers? Why, when it became clear Sean was experiencing a mental health crisis, was he restrained and transported in the back of a police van to Brixton police station and not taken to a hospital for emergency medical care? Questions have been raised about the adequacy of the medical care given to Sean at Brixton police station by the police, including by the police doctor. The publication of the David ‘Rocky’ Bennett Inquiry report into the death of a 39-year-old mental health service user, who lost his life after he was restrained by a team of up to five nurses for almost half an hour back in 1998, put the spotlight on the over use of force statutory services apply when dealing with people in need of mental health care from the UK’s African Caribbean communities. The Bennett Inquiry report, published in 2005, set out 22 recommendations in order to ensure that preventable deaths of mental health service users from the use of restraint come to an end. Since the report was published very few recommendations have been fully implemented, but the detention rates under the Mental Health Act have doubled for Britain’s black communities, while falling for all other groups. 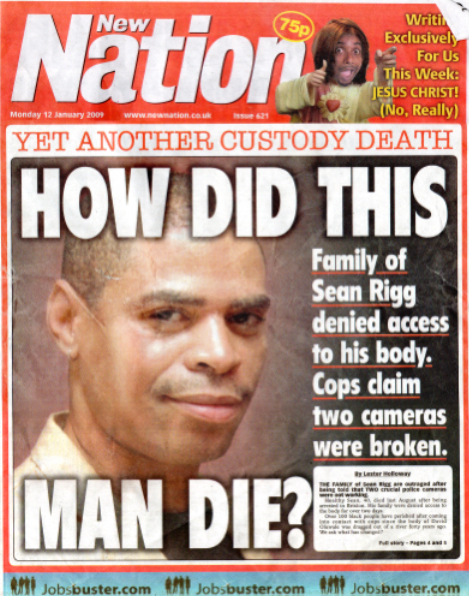 Sean Rigg’s inquest presents yet another opportunity to highlight the failings in both mental health and policing systems that are hitting black Britain hardest. Black Mental Health UK (BMH UK) hope that statutory agencies will also learn from the difficult lessons that are likely to come out during this seven week hearing, so that we finally see reforms implemented in order to ensure that the death rates of those who use mental health services come down. 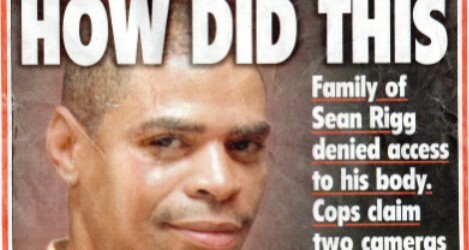 Sean Rigg’s Inquest is being held as Southwark Coroners Court, 1 Tennis Street, London SE1 1YD. Matilda MacAttram is the founder and director of Black Mental Health UK (BMH UK). Launched in August 2006, BMH UK has led various campaigns to raise awareness of the inequality of mental health treatment provided to Black communities. This article originally appeared on www.blackmentalhealth.org.uk. Shocking statistic at least we’re doing a little bit better than the Victorians on treating people with mental health issues but not by much.